The Michigan State University Ranking is 55th best uni in the USA and 78th in the world on the University Review List. It is ranked as the 85th best college in the states by the USnews, and the 169th best by Forbes. The Michigan State University tuition fees are $13,200 for in-state and $34,980 for out of state students. It is a moderately selective college accepting 68.7% of applicants. Financial aid offered totals $165.5 million per year, an average of $12,040 per student. SAT scores for Michigan State University admission requirements (25th-75th percentile) are Math 540 – 670, Reading 440 – 600, and writing 450 – 600. The total composite SAT range for accepted applicants is 970 to 1270. The requirements for ACT (25th-75th percentile) are Composite 23 – 28, English 22 – 28, and Math 23 – 28. Michigan State University (MSU) has been changing the lives of many people in the United States through research, innovative teaching and outreach for more than 150 years. This is a major university that has global reach with more than 200 programs it offers. Linton Hall on the Michigan State Campus. picture by larrysphatpage. Michigan State University, East Lansing, MI was founded in the year 1855 and is basically the proto-type for 69 land-grant institutions found. Michigan University is proud of being the first institution offering higher learning on scientific agriculture in the United States. The Michigan State University of USA is located in East Lansing and has a 5,200 acre campus, where 2,000 acres of land is in the existing or planned phase of development. You find 660 buildings in this campus where 85 acres are with instructional space. This public university offers over 200 programs from 14 degree granting colleges and a law college with its affiliation. The programs offered range from arts, engineering, law, agriculture and natural resources, business, human medicine, nursing, veterinary medicine and social service. There are students studying here who come from all the states of the United States and 125 other countries. As of date, there are altogether 45,166 undergraduates, graduates and professionals studying here. Research work in agriculture, animals and forestry is conducted in Michigan State University in the 15,000 acres of land found throughout Michigan. Funding for this research is provided from National Science Foundation, U.S. Department of Agriculture and U.S. Department of Health and Human Services. The MSU libraries offer the necessary information and facilities to conduct all this research. Michigan State University provides its programs to off-campus learners in more than 60 countries in different continents. In addition to all its programs, Michigan State University offers lots for culture and entertainment. 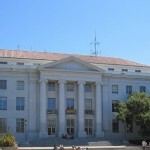 There are four theatres on the campus that hosts numerous cultural events. The state-of-the-art arena is fit for hosting special events like ice shows, banquets, conventions, trade shows and sporting events. Lots of knowledge can be gained from the MSU Museum, Art Museum, Abrahams Planetarium and Horticultural Demonstration Gardens in its respective fields. Sports and recreation is also given emphasis in the various facilities found here like basketball, tennis, volleyball and racquetball courts, playing fields, gyms, swimming pools, golf courses, weight rooms and indoor running tracks. 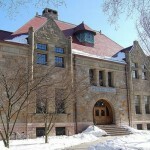 As a Public Ivy institution, the education offered is similar to found at places like Rutgers University, University of California, Santa Barbara, Indiana University, Bloomington, and University of Iowa. 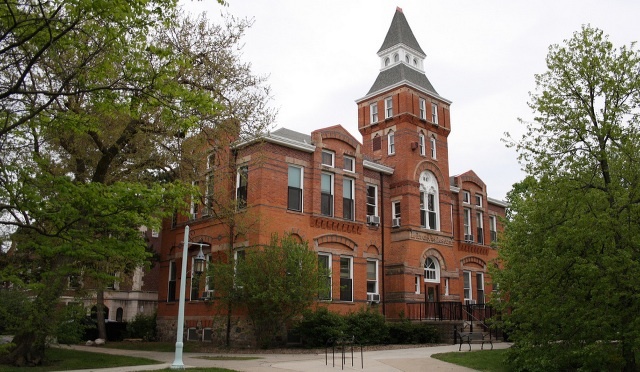 Other colleges in the state include the MTU, Wayne State, and the University of Michigan at Ann Arbor. Michigan State University Motto: Advancing Knowledge. Transforming Lives. The university is ranked as the 96th best in the world by the THE. Michigan State University; Michigan Colleges List.